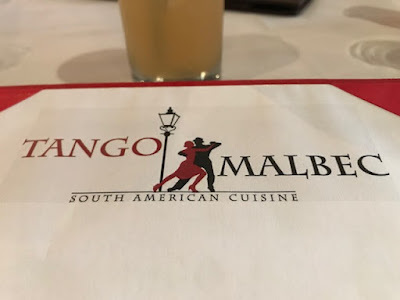 Went to a business lunch at Tango & Malbec. I've never been there, but knew that they have Milonga for Tango dancers. They have a business lunch menu. 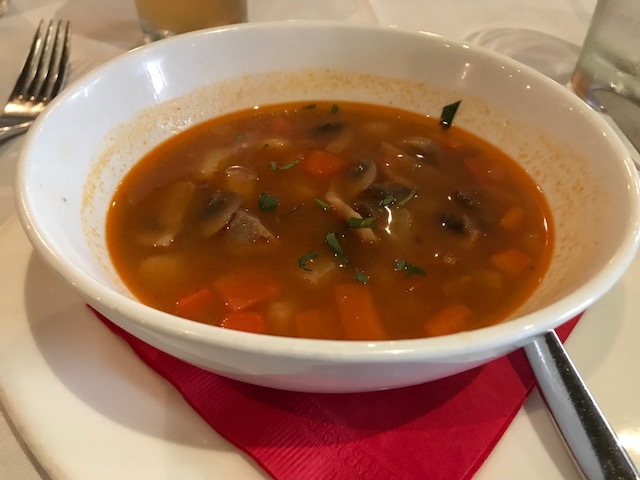 To start, first course, mushroom soup, which is really like vegetable soup but with mushroom. 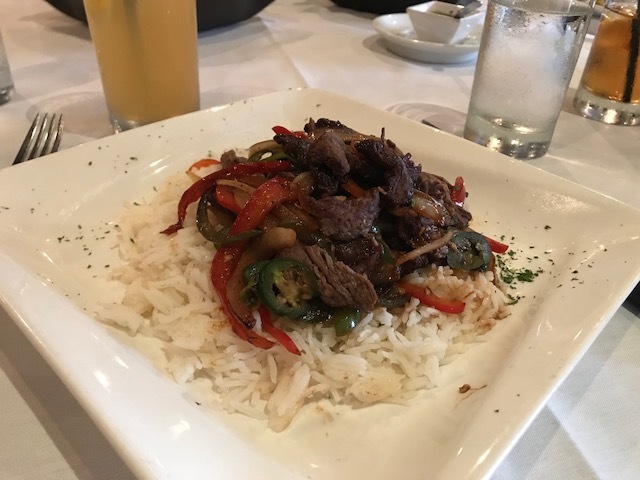 Main course was Lomito Salted, which is beef tenderloin tips sautéed with red and green pepper, onions, jalapeño on a bed of rice. If I didn't tell you the dish's South American name, you would've thought I was eating at a Chinese place. As a matter of fact, it taste a lot like Mongolian Beef or Pepper Steak. 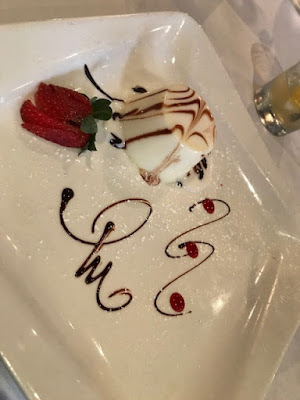 For dessert, we got Panacota de Chocolate Blanco, which is white chocolate creamy panna cotta with chocolate sauce. I would say that they weren't lying when they say creamy. You can tell there's a lot white chocolate and cream. Overall, the service is good. The place is small and you can tell that the wood floor is really for practica. 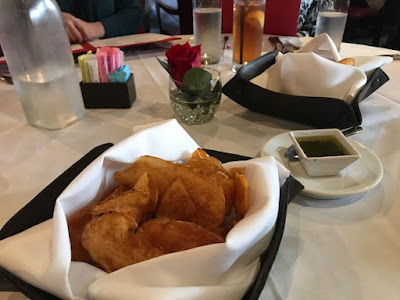 The food is ok, is it great? Not really, is it bad? Not really. It's neither here nor there, but the atmosphere is good and the service is good.